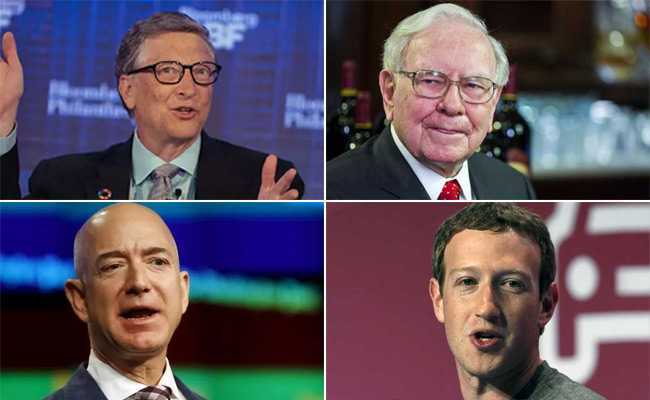 The Forbes Top 10 Billionaires list list features the likes of Amazon chief Jeff Bezos, Microsoft founder Bill Gates, famed investor Warren Buffet, Facebook CEO Mark Zukerberg among others. A record 2,208 billionaires have made to the Forbes World Billionaires list. The Forbes Top 10 Billionaires List for 2018 features the likes of Amazon chief Jeff Bezos, Microsoft co-founder Bill Gates, famed investor Warren Buffet, Facebook CEO Mark Zukerberg among others. A record 2,208 billionaires have made to the Forbes' 32 annual ranking of the world's billionaires this year. India has 121 billionaires this year- 19 more than last year, says Forbes. 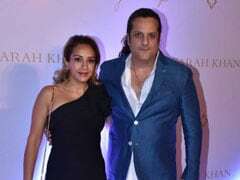 Reliance Industries Chairman Mukesh Ambani, who is the richest man in India, moved up to the 19th global rank on the list of billionaires worldwide. In 2017, he ranked 33rd with $23.2 billion. 1. Amazon chief Jeff Bezos tops the Forbes list of the World Billionaire. His net worth is $112 billion. He founded the e-commerce company at a garage in Seattle in 1994. Mr Bezos studied at Princeton University and quit his job to sell books online. The 54-year-old is interested in space travel and his aerospace company, Blue Origin, is developing a reusable rocket that will carry passengers. He purchased The Washington Post in 2013 for $250 million. 2. At number 2 of Forbes Top 10 Billionaires List is Bill Gates, who is the co-founder of Bill and Melinda Gates Foundation which works towards improving global health. He founded Microsoft with Paul Allen in 1975. The 62-year-old sold much of his stake in Microsoft and now owns just over one per cent of shares. His net worth is $91.2 billion. 3. At number 3 of Forbes Top 10 Billionaires list is Warren Buffet with net worth of $87.7 billion. Known as the "Oracle of Omaha," Warren Buffett is one of the most successful investors of all time. He first bought stock at age 11 and first filed taxes at age 13. With Bill Gates, the 87-year-old launched The Giving Pledge in 2010, asking billionaires to donate half their wealth towards charitable causes. 4. Bernard Arnault and family is at number 4 with net worth $74.7 billion. He oversees an empire of 70 brands including Louis Vuitton and Sephora. He bought Christian Dior in 1985. 5. With a net worth of $72.4 billion, Facebook CEO Mark Zukerberg is at number 5 of the Forbes Top 10 Billionaires list. A Harvard dropout, he founded Facebook in 2004 at the age of 19. He and his wife, Priscilla Chan, have pledged to give away 99 per cent of their Facebook stake over their lifetimes. 6. Europe's richest man Amancio Ortega has a net worth of $65.9 billion. In 1975, he co-founded Inditex, known for its Zara fashion chain, with his ex-wife Rosalia Mera in 1975. The 81-year-old father of three earns more than $400 million in dividends a year. He is at number 6 in the Forbes Top 10 Billionaires list. 7. At number 7 in the list is Mexico's Carlos Slim Helu and family with a net worth of $68.7 billion. The 78-year-old is the Honorary Chairman of America Movil which is Latin America's biggest mobile telecom firm. Telmex, Mexico's only phone company, is also part of his company. He also owns stakes in Mexican construction, consumer goods, mining and real estate companies and 17 per cent of The New York Times. He has six children. 8. Charles Koch, CEO of Koch Industries, which is America's second largest private company since 1967. His net worth is $60.8 billion. An advocate of criminal justice reform, Charles' Koch Industries doesn't ask for a criminal history on initial job applications. The 82-year-old comes from Kansas and has two children. He is at number 8 in the Forbes Top 10 list of Billionaires. 9. At ninth spot is Executive Vice President of Koch Industries, David Koch, who shares majority control of Koch Industries, US' second largest private firm, with his brother Charles Koch. A well-known philanthropist, David is a donor to New York's Lincoln Center and Memorial-Sloan Kettering Cancer Center. The 77-year old lives in New York and has 3 children. 10. Larry Ellison, CTO and Founder of Oracle, features at number 10 of the Forbes top 10 list of billionaire for 2018. He gave up the Oracle CEO role in 2014 but still serves as the chairman of the board and chief technology officer. In 2016, the 73-year-old pledged to give $200 million to the University of Southern California for a cancer treatment center.